If you are a fan of the beautiful Truth or Consequences pattern by Renate Kamm in the latest issue of Nomadic Knits - you've come to the right place! 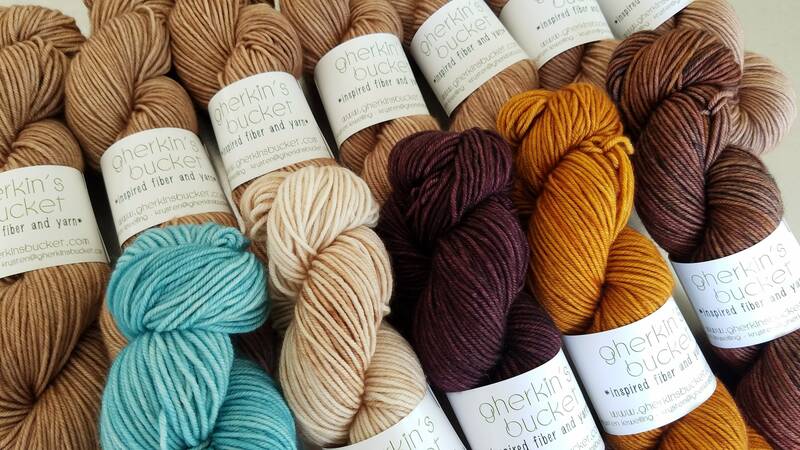 Here is all the yarn to make the same beautiful project shown in the magazine. 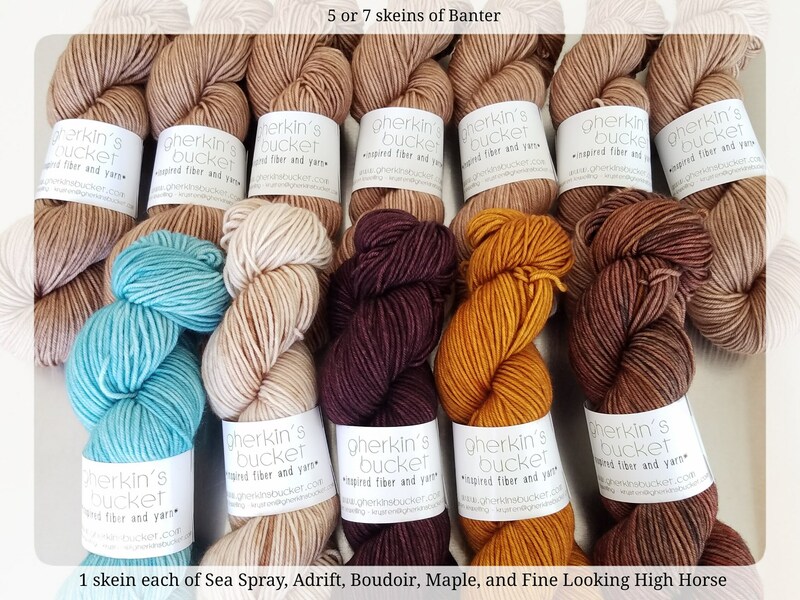 Each Kit comes with 1 skein each of the Coordinating Colors (Sea Spray, Adrift, Boudoir, Maple, and Fine Looking High Horse) and, depending on size choice, either 5 or 7 skeins of the Main Color (Banter). Please use the dropdown option to choose your size. This kettle dyed, semi-solid SW Merino / Cashmere / Nylon DK yarn will give your creations the tonal, complex depth of color that only high-quality, artisan yarn can, and the kiss of cashmere elevates your projects to the next level of luxury!